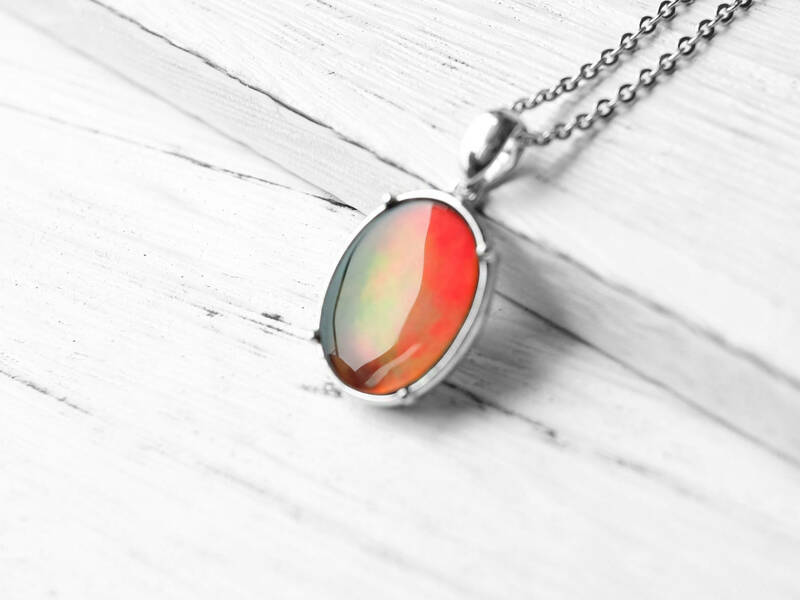 A superb quality ammolite pendant with bright red colors with some green. 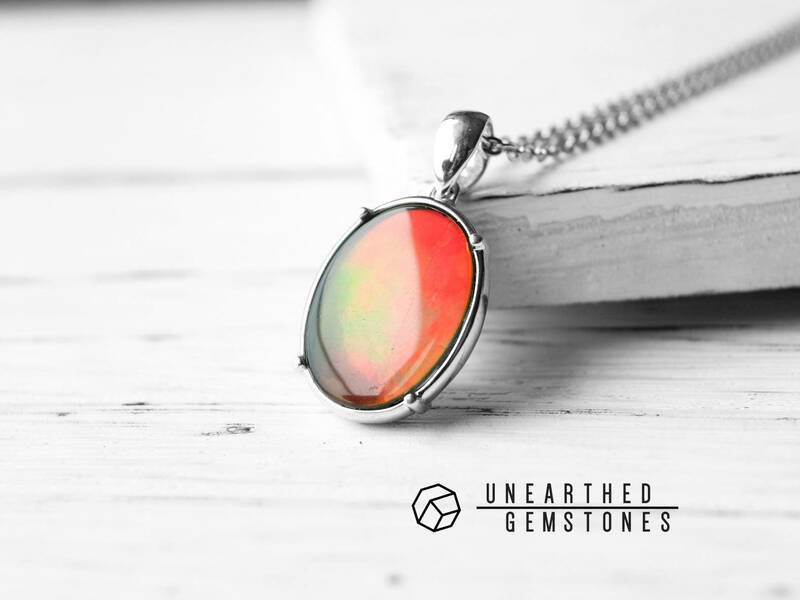 The ammolite comes from Canada and is cut into a oval shape. 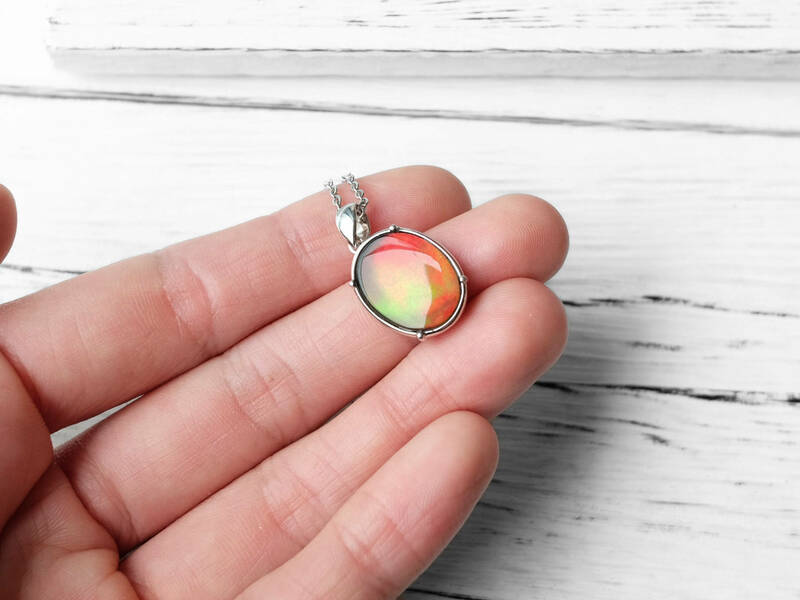 The ammolite surface is very smooth with almost no cracks. Very rare to come across an ammolite with this quality. 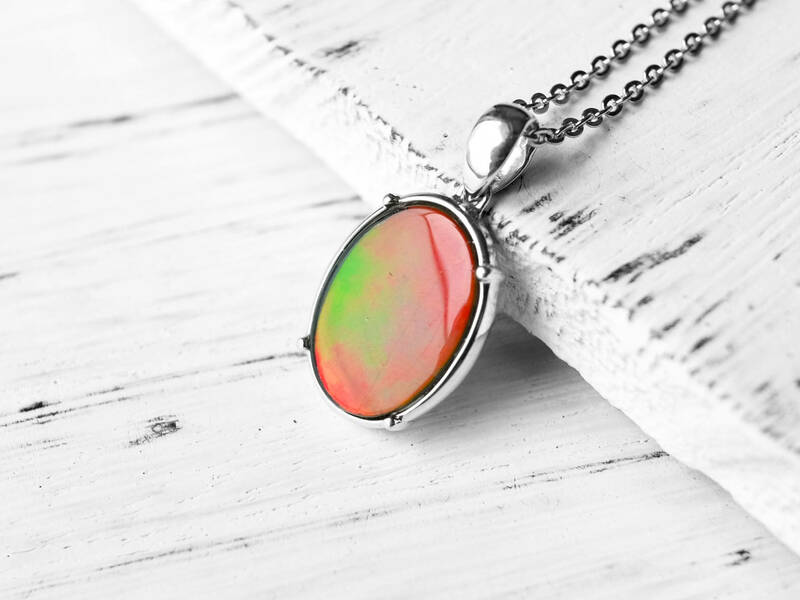 With a 925 sterling silver bezel, this natural ammolite necklace is a exquisite choice if you are looking for a quality ammolite jewelry piece. 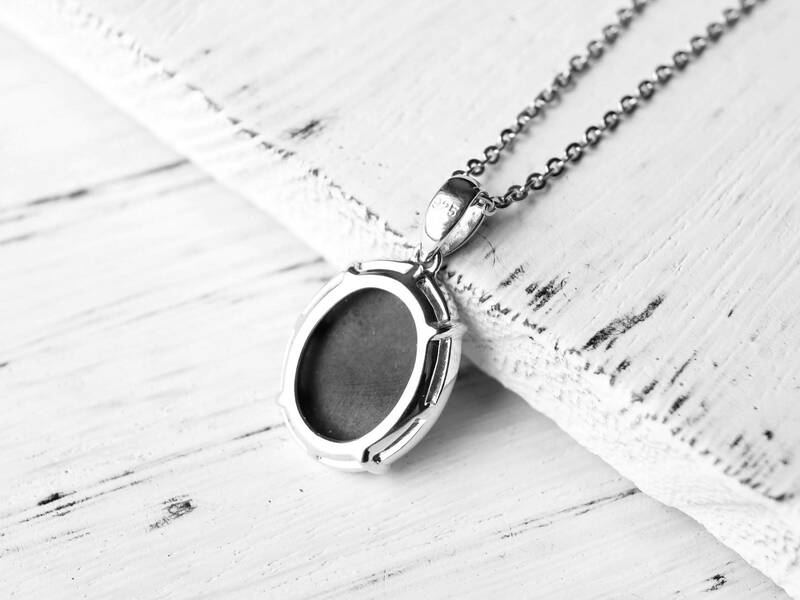 Free express shipping is included.